10) Benjamin Lafayette Sisko: Not only do we share a first name, but he’s another Captain who’s not afraid to rock the bald. From the very first season he’s defined as being different than a certain other bald Captain, in part because Picard killed Sisko’s wife (while he was Locutus but still…). 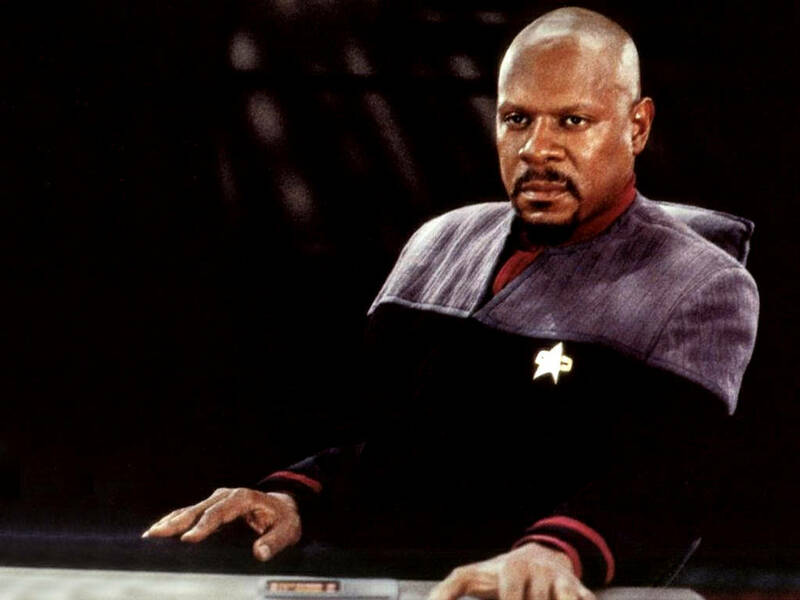 Sisko’s a good guy with rough edges, who’s not afraid to tread into moral gray areas when it serves the greater good. His relationship with his son is also a real treat (no Wesley Crushers here), and one that carried on between the actors in real life. He also cooks cajun food, loves baseball and isn’t afraid to punch Q in the face. 9) The Best Ferengi Stories Ever Told: Ferengi’s play a prominent role on the station, centering around Quark, a bartender, and his family, his brother Rom and Rom’s son Nog who also happens to the best friend of Jake Sisko. On DS9 we meet the Nagus (inconceivable! ), Quarks indomitable mother, and watch just how well Ferengi fair in courting Klingons. Gone are the marauder and flat characterizations of Next Gen, replaced with much more complex, and at times noble, characters. 8) The Best Klingon Stories Ever Told: Once a certain Starfleet Klingon joins the cast, all hell breaks loose. The treaty between the Federation and the Klingons is broken (we’re back to Original Series days man!). And even as things seem to be getting better the Chancellor of the empire may be a spy, or leading his people to certain doom. Plus Alexander grown up not quite how you would have expected. 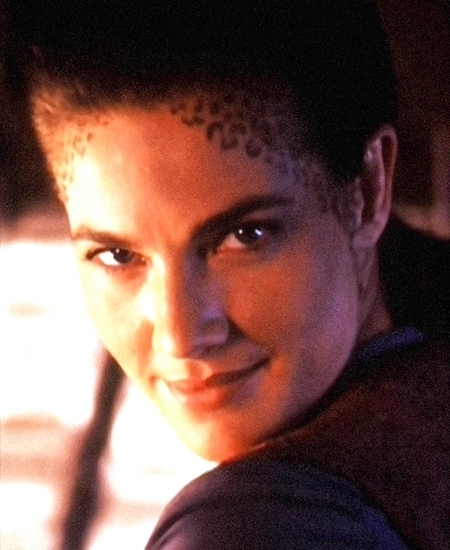 7) Jadzia Dax: Those spots do go all the way down. ‘Nuff said. 6) Continuing Storylines: From the season 2 finale til the end of the show the threat of the Dominion, a new race of conquerors from the Gamma Quadrant, is looming. The Klingons are at war with the Federation, the Cardassians and sometimes themselves. Bajor is trying to rebuild after years of occupation, and is hurtling down a road to apocalyptic prophecies. And Odo, the station’s security chief and a shape-shifter, is trying to figure out who he is and how to tell the woman he loves how he feels. 5) Long Story Arcs: Two of the best sequences in the show are the Season 5 Finale and opening six episodes of Season 6, and the last 10 episodes of Season 7. Multi-part storylines, lots of peril for main and supporting characters. 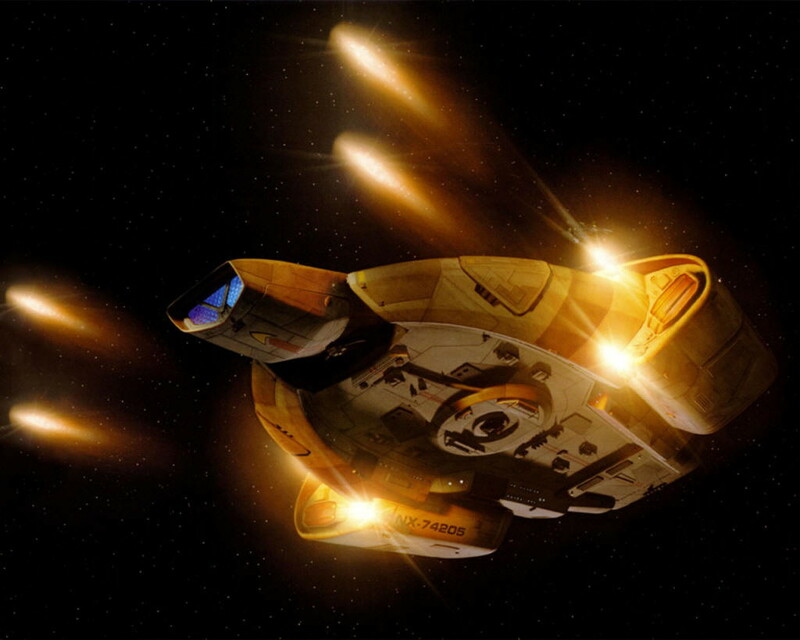 4) The Defiant: Tough little ship isn’t even the half of it. 3) Complex Characters: Two of the most interesting villains\allies in the show are both Cardassian. One a former Obsidian order operative who’s full past is unknown and claims he is just a plain simple tailor. The other, the former head of the Bajoran occupation with a grandiose vision for his race, but a father’s love for his daughter. No one ends this show the way they began. 2) There was a firefight! 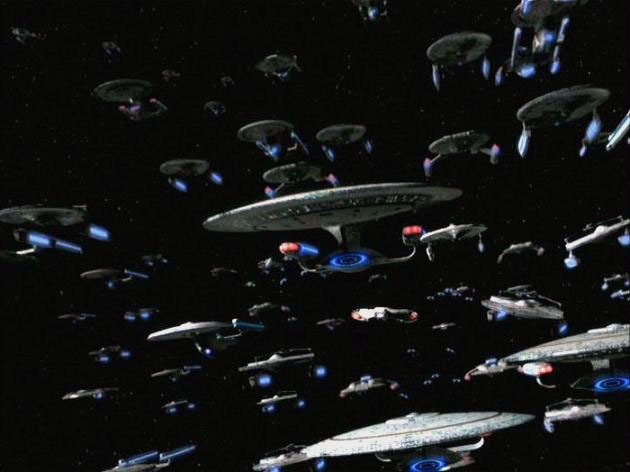 : In a season six battle Starfleet’s fleet of 600 ships encounters 1254 Dominion\Cardaissian vessels. Never before has Star Trek been on such a massive scale. 1) My wife will watch it with me! LOL Seems like the only reason you need is #1 – it’s like pulling teeth to get my husband to watch any sci-fi or fantasy anything with me. He thinks its “weird”… this from the guy who watches “Swamp People”.